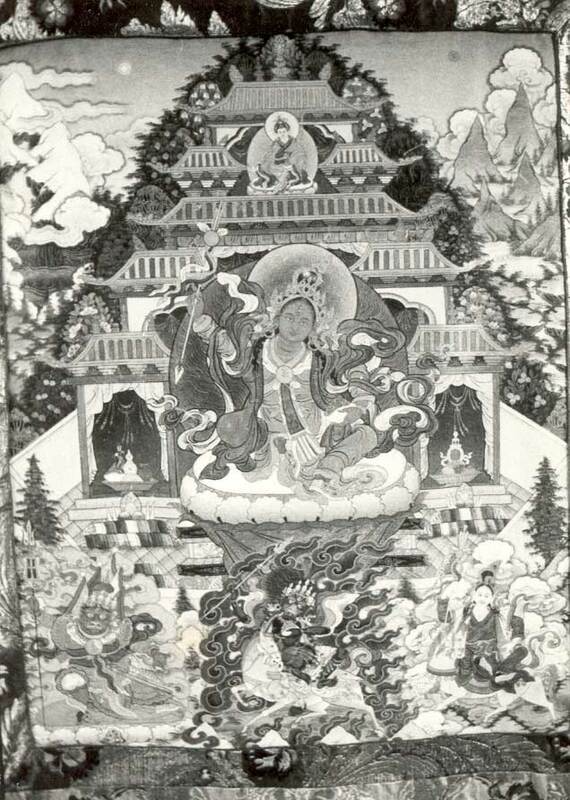 In the mid-1950s thousands of Lelung Monastery thangkas were destroyed. These included depictions of hundreds of deities, lamas, protectors, etc. Among those lost were the Lelung lineage twenty-one thangkas and many others. The thangkas were indispensable as a support for Vajrayana practice for many great lamas and monks. As all the thangaks were lost, Lelung Rinpoche wishes to commission artists to repaint them. Many highly skilled artisans who were fortunate enough to see the original thangkas are getting older, therefore it is critical to reproduce these works as quickly as possible before they pass away. This will ensure that the thangkas remain authentic and uncorrupted for use by future practitioners. In addition, the practices of hundreds of deities are contained in the Fifth Lelung Rinpoche's written works. Images of these deities are needed to accompany forty volumes of his teachings currently being compiled for publication. In the past, not many sets of thangkas were made and once a set was lost, it was difficult to reproduce. The inclusion of these thangkas in published books, which will be distributed to libraries and monasteries throughout the world, guarantees that they will never disappear again and that they will continue to be accessible for future generations. All these thangkas are very important for the continuation of the tradition. Once the thangkas are completed, Rinpoche will give the complete cycle of teachings of the Lelung lineage. If you are interested in contributing funds to allow the thangkas to be commissioned, we are grateful to receive your generous support. Estimated cost of a single thangka will probably be £250-300. If you would like more information, including which thangka from the list you can support, please contact us using the form below and we will give you the details. We are happy to keep you updated on the progress of the work you support and we will print your name on the back of the thangka.